The participant responds with the first thing that POPs into their head. to say “Try again.” (this is an affirmative statement and not a negation: “NO”). Run out of questions? Ask about the Box! The exercise concludes with one last “What’s in the Box?” The Answer: all of the details from the follow-up questions. It is important to note that the leader of the exercise does not have and idea of What is in the Box ahead of time. 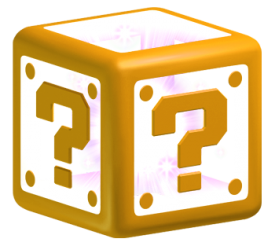 What is in the Box is something that is co-created through the process of asking and answering questions. The Secret to Follow-Up Questions: Be Curious. Ask about the size, shape, texture, color, … Discover more details: who created it, magical power, inscription. Support your partner; limit “Try again” too many times in the beginning. As with everything, this game grows with practice.